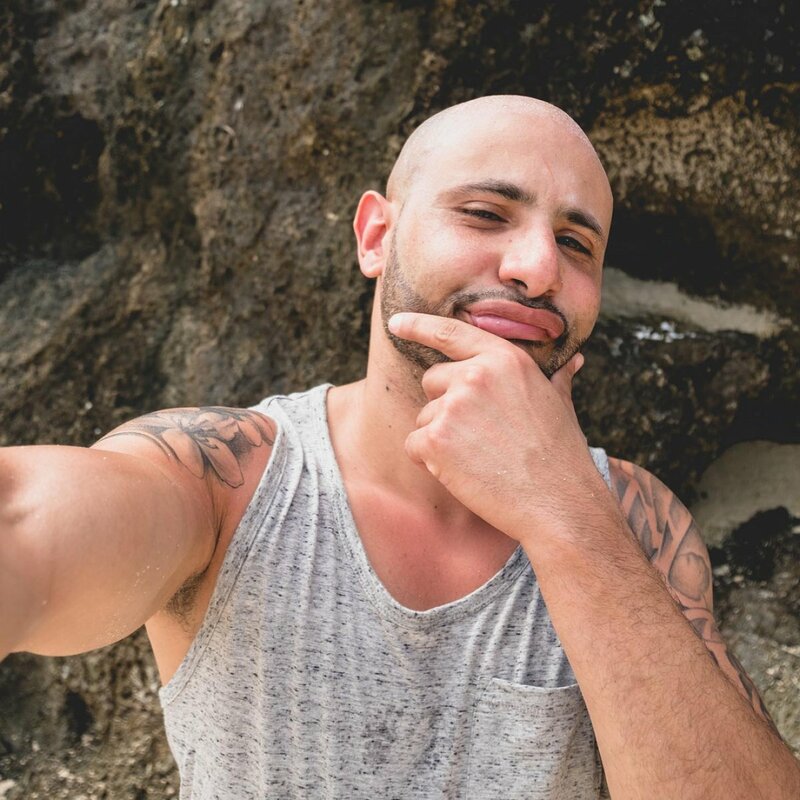 Joe Mena was voted out of the Solewa tribe on Survivor: Heroes vs. Healers vs. Hustlers' latest episode on CBS. After JP Hilsabeck was sent packing earlier in the special two-hour broadcast, Joe, a 34-year-old probation officer from Bronx, NY who currently resides in Tolland, CT, became the eleventh person voted out of Survivor's 35th season and the fourth member of the jury on Night 30 of the game through a 4-2-2 vote at Tribal Council. During a recent exclusive interview with Reality TV World on Thursday, Joe talked about his Survivor experience. Below is the concluding portion. Reality TV World: Were you looking for idols right up until the Tribal Council when you went home or did you finally stop at a certain point? Joe Mena: I mean, the edit made it seem like all I did was look for idols, which is absolutely correct -- but not out in the open like that. I would get maybe, like, four or five minutes to look for an idol. I don't know how previously players were able to leave camp, like, for an hour. I never had an opportunity. I would make the best out of my five minutes, so once I discovered, like, "Okay, we're low on food. Let me look for coconuts," and they kind of allowed me to leave camp a little bit. So I was running with this, and I just kept looking for coconuts. Was I really looking for coconuts? No. I was looking for a clue. So I looked from Day 1 up until I got voted out. Reality TV World: Going back to the Tribal Council when Cole Medders got voted out, you were the first to admit that Mike playing his idol at that point was "stupid." How do you think things might've played out differently had he held onto it, or do you think the outcome would've been the same? Joe Mena: Well, a couple of things. I mean, we knew Cole was going. At that point, I think we were just like, "Let's let Cole go." But in reality, if he told me -- I liked Cole, and the longer Cole stayed in the game, it was actually getting better. And as an individual, Cole was just a solid guy, and he had no choice but to be loyal at that point. So if he had informed me about the idol, I would've been like, "Listen, we know they're going after Cole. Let's give him the idol and let's throw our votes" -- at that point, Ben was still my huge target. So we would've gone after Ben, and Ben would've been voted out. The rest of the fools were going to split the votes 5-2, like, that's just unheard of. I don't know why they did that! Yeah, I think it would've played out and benefited us. Reality TV World: You got into an argument with Ben on the show, and you rubbed Chrissy the wrong way at times. Did you have personal issues with these people you sparred with or was that strategy all along? Was there a part of you thinking that if people disliked you, maybe they'd take you to the end in belief you wouldn't receive jury votes to win? Joe Mena: Yeah, no, nothing was personal with me at all. I'm just not that guy that takes things personal or crosses that line, because that's just not me. Like with [Alan Ball], Chrissy and Ben -- and even Ashley -- I'm like dying inside, just laughing! How easy these people are just, you know, I'm able to just push buttons. With Chrissy, she rubbed me the wrong way and I rubbed her the wrong way, "game recognizes game," and I think for Chrissy it was personal, and even for Ben, it was personal. I was pushing buttons; I was going in. To me, it was just gameplay, and to them, it wasn't. And the whole thing with the Marine, there's a whole backstory to it. I'm not really going to get into it, but a couple of people kind of came up to me and were like, "Yeah, Ben's a Marine. And Marines don't lie. He said he's not going to lie because he's a Marine." So my thing was like, alright, here's a guy that's a Marine. And at that point, it was overkill. I was tired of hearing the whole Marine crap. So I'm like, "This guy is using being a Marine as a vessel, as a tool to advance in his game. So if I'm able to twist things and use what he's using as an advantage as a disadvantage, then I'm able to put a bigger target on his back and he's going home." So that was all gameplay, and once I saw him really getting upset -- and we all kind of experienced that PTSD -- so that's when I just kind of chilled off. I'm like, alright, you know, maybe I proved my point, and I kind of left it alone. So I didn't want to trigger anything, but it was all gameplay. Chrissy, Chrissy was easy. To me, Chrissy was another [Alan Ball]. She was so easy to get upset. Press the right button and she's going off! And that, I think, is just kind of her personality. The way I describe Chrissy is like a "Chaos Kass" [two-time Survivor castaway Kass McQuillen]. So, you won't see it in the edit, but that's kind of how she was out there. Reality TV World: Do you think you would have fared better if you took a more friendly approach while in the game? (Laughs) If you were to play again, would you do things differently or do you totally stand by your aggressive gameplay? Joe Mena: I stand by it and the individuals that had been voted off, and the people that will continue being voted off, I was loyal, I was honest, and I had a blast out there. So, I mean, the edit, I don't complain about the edit. I love the edit, but there were a lot of things that weren't really shown. My social game with Ben and Chrissy was shot, and I didn't really care about those two as far as votes or anything. I felt like I had [Desi Williams], I had Cole, I would put Mike on the jury. And the rest of the guys would kind of respect my gameplay at that point, so it wasn't personal and I don't think I would change a thing -- Maybe just, I wish I had a stronger tribe initially. Maybe throw in a challenge here or there, but I stand by my game. To read the rest of Reality TV World's exclusive Survivor interview with Joe Mena, click here and here.